The saying goes, none of us is as smart as all of us. That’s why I’ve teamed together with two peers - Amy Franko and Brittany Shonka - to create a resource to help other sales professionals maximize results. Our goal is to help you go farther, achieve sales success, and transform into top performers. This collaboration is important to me because I’m passionate about sales strategy. It combines knowledge gained through our three distinct experiences: sales producer turned entrepreneur, corporate sales strategist, and B2B marketing leader and sales training facilitator. From the field to the executive suite, together we offer nearly four decades of know-how and have conducted training for more than 1,000 sales professionals and next-generation leaders. In sales, as in most other professions, 20 percent of the producers deliver 80 percent of the revenue. To become one of those elite, you must elevate your presence and increase your caliber. In “6 Strategies to Maximize Sales Results,” we will explore the following topics. The Growth Mindset and High-Value Sales Opportunities: Your way of thinking can help you spark success. This article shares practical ways a sales professional can cultivate a productive and positive mindset. Creating Intellectual Curiosity: We consider intellectual curiosity to be the “x factor” among successful people. This article will offer ideas for maximizing sales success by honing your intellectual curiosity and active listening skills. Showing Up: Is your head in the game? In sales, it’s critical to show up mentally, not just physically. Tips in this article include creating a good impression through authenticity and preparedness. Understanding Your Customer: Do we really know our customers? How can we do better? This article explores the evolution of customer understanding, and provides an overview of research strategies. Prospecting and Pipeline Management: The quality and quantity of your pipeline are direct results of balanced prospecting and pipeline management. This article provides tips for knowing your numbers, clearing the pipe, and uncovering pipeline patterns. Selling to the C-Suite: Learn how to think like an executive so you can be fully prepared to engage in meaningful and productive dialogues about his or her business—not your agenda. The article will include questions to ask yourself when calling on the C-suite. Here’s to your success. Watch this blog in the coming days for our first article. Amy Franko drives results for organizations by elevating their most important asset—their people. 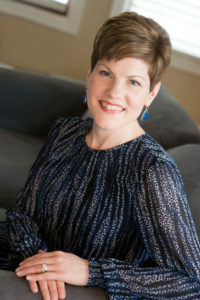 Her firm, Impact Instruction Group, works with technology companies and professional services firms to design and deliver leadership development and strategic selling programs. Amy’s experience within large global organizations, such as IBM and Lenovo, has shaped her skills as a futuristic thinker and leader. She brings new perspectives to her clients, with a sharp focus on achieving strategic goals. Known for her dynamic and engaging style, Amy is a sought-after speaker on the topic of leadership development and strategic selling, having delivered her powerful messages across the country. 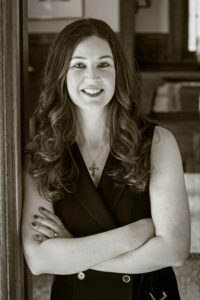 Her expertise is widely shared on social networks, and in respected publications such as Chief Learning Officer, TD Magazine, Training Industry, Training Magazine, Columbus CEO, and Smart Business. She is a certified training partner through IMPAX Corporation. Brittany Shonka has a passion for helping clients drive growth through sales excellence. Her position is two-fold: half focused on B2B marketing, and half focused on client training and facilitation. 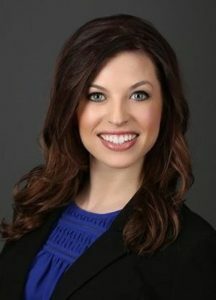 On the marketing side, Brittany creates a more relevant, dynamic digital and social presence for IMPAX, ultimately driving more business leads and building brand awareness. These efforts target senior level decision makers looking to optimize their sales team's performance, helping them to connect with IMPAX, a partner who can assist in taking their team to the next level. On the training and facilitation side, Brittany trains and coaches value-leading organizations on the IMPAX Process, an end-to-end sales methodology for effective sales and account management. She helps clients fight commoditization and differentiate themselves competitively through the way in which they sell, shifting the focus from price and earning credibility at the executive level. Connect with Brittany on Twitter and LinkedIn.